We are committed to improving the lives of the people we support. We do this primarily through our person-centred approach, which puts people at the centre of all our activity – whether that’s day-to-day support or advocacy on matters that affect them. We provide an understanding, professional and empathetic service to people of all ages and abilities. We ensure our customers are treated with respect and dignity while enjoying the lifestyle of their choice. We carefully select our staff, recognising the need to have professional skills balanced by life skills. Our service will support you to live the life of your choice. We are inclusive of Aboriginal and Torres Strait Islander peoples, Australian South Sea Islanders, people from culturally and linguistically diverse backgrounds, LGBTQI and people with a disability. What makes our services different? Simply, that we put you, the customer first. 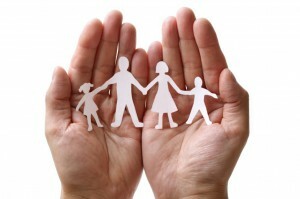 Our aim is to provide the standard of care that we would want for our own families. This means valuing the unique qualities of each customer and seeing the whole person, not just a list of care needs. We keep in regular contact, so that you soon get to know the team at Inclusive Support Service. Building a relationship that you can trust and rely upon is central to how we manage our business. "..the more we care, the more beautiful life becomes.."